We have an excellent relationship with HM Prison Service, supplying quality, stainless steel cupboards, kitchen units and wash facilities suitable for correctional environments. 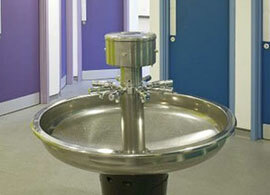 Our specialised, fit-for-purpose units are designed for the specific challenges of the prison environment, including a w.c. pan with flushing rim and, where specified, anti-ligature fittings. Purpose-built to prison specifications, our products are available with features such as lockable doors, are double-skinned, and have no accessible voids or areas that could be used for concealment. We not only take care with design and production – our secure transportation of units and sanitaryware is suitable for prisons. We can work alongside prison officers remotely, judging suitable solutions from far afield, such as when we supplied our stainless steel products to HM Prison Gibraltar. 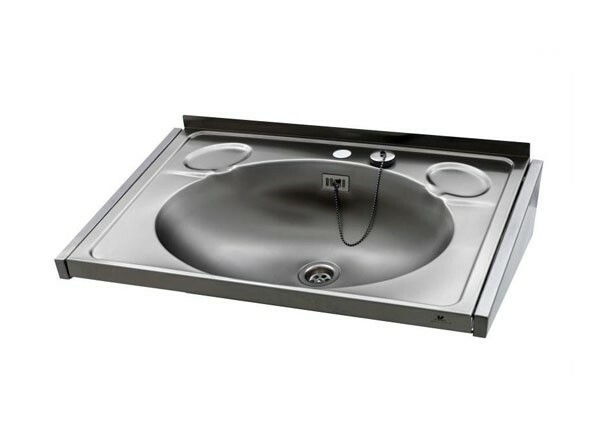 Suitable for everything from staff washrooms to secure prisons, our stainless steel W.C. pans are versatile, easy to maintain and hygienic. Saville Stainless urinals are long-lasting, robust and easy to clean, and have proven popular fixtures in the bathrooms of all types of establishment.